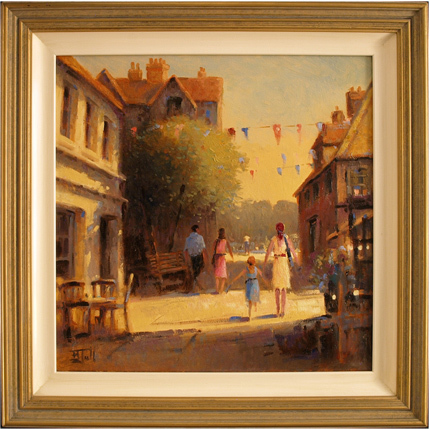 Internationally recognised, Brian Jull experiments with light and contrast along with loose and textured brushwork. He is most influenced by William Turner and the impressionist painters of the 19th century, Monet, Seurat and Renoir. Brushwork is important to him as he likes to “express character through the texture of the paint on the canvas.” Brian has exhibited internationally in numerous galleries in the UK, USA, Japan and Sweden. Read the full Brian Jull biography.